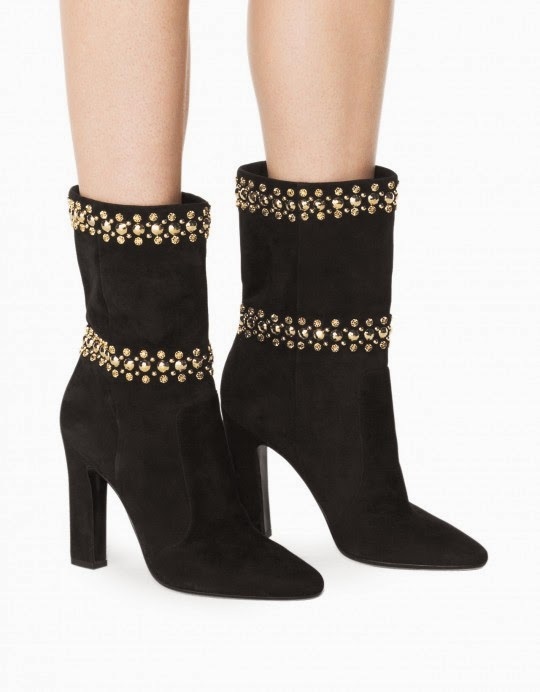 Hands down, the Tamara Mellon first ever sample sale was the best sample sale I'd been to in YEARS - and I went on the second day. You can read my sale report here. I got myself on the press list to make sure I didn't miss the next one. Well, she's back, baby! The address is 260 5th Ave., between 28/29th. The closest subway is the N/R/6 train to 28th street. The dates are February 26 thru March 1st. See above for the hours. Boat neck romper, retail $745, sale price $150. Last time most clothing was $50. The Crave bootie, retail $1595, sale price $150. Last sale booties and boots were $75 and shoes started at $50. 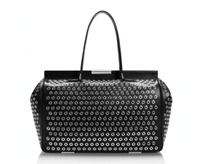 Speed Date large bag, retail $2195, sale $250. If they had this at the last sale I would have snapped it up because bags were priced $50-100!! Don't feel bad if you can't make it to the NY sale. 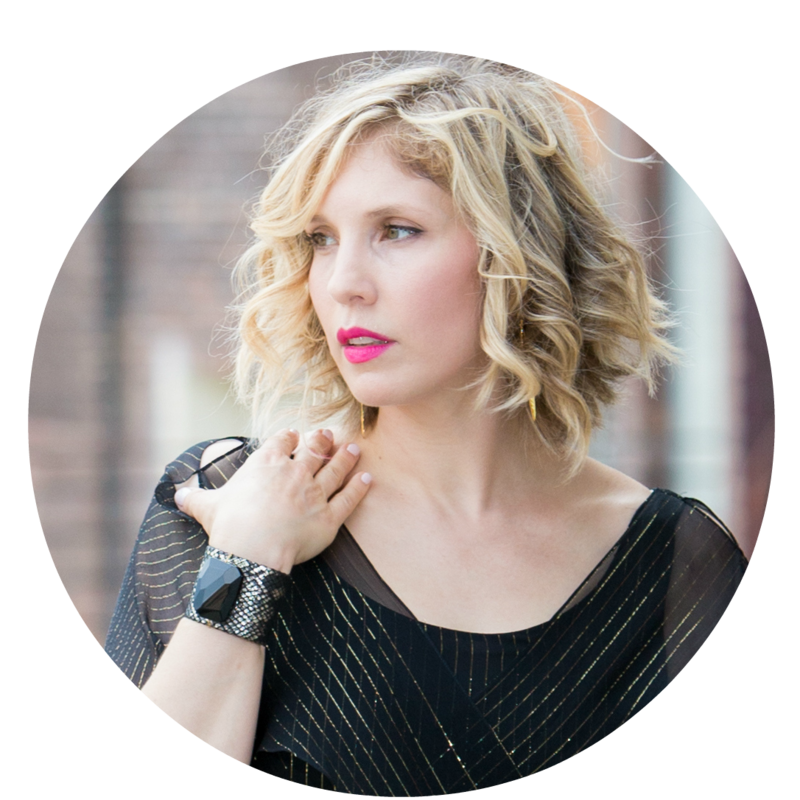 She has incredible discounts right now online! They also have free US shipping to make it a no-brainer. All sales are final so select wisely. 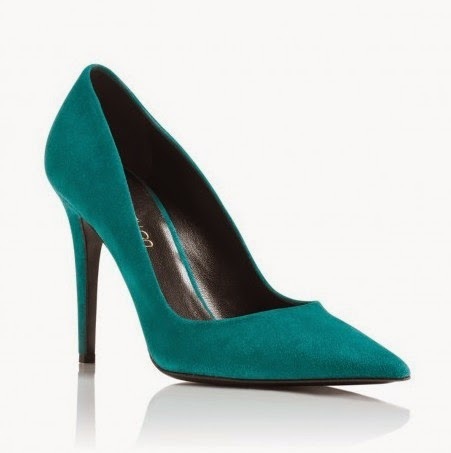 Sizing is pretty much the same as Jimmy Choo. (I'm a US 9 and a 39.5 or 40 depending on the style). They had some $35 shoes which are now sold out but here are a few of my picks for 90% off! Retail $495 - 90% off! These yellow 90MM Addictions are just $50! I got a few Addictions at the last sale and I really love them. 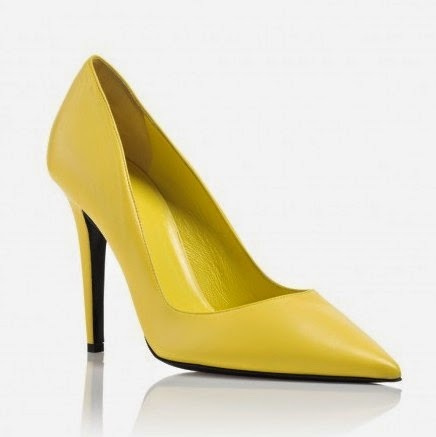 The yellow would be the perfect pop of color for your drab winter wardrobe and easily carry you into Spring. 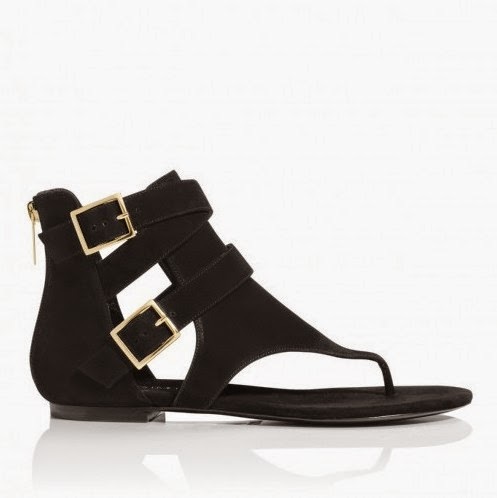 The flat gladiator sandal is all the rage for Spring. They had a bunch of flat sandals for 90% off - $60 each! My pick is this fun yellow Jungle Fever flat. Retail $595 - 90% off! For $70 they had a few, and I'm a little in love with these black suede Hotspring flats. Was $695, now $70 - 90% off! I know a few people were drooling over these Submission patent sandals that I scored for $55 at the sample sale. Get yours online for $99 - that's still 90% off! They also had a few pairs of booties for under $99! Loving these black suede Downtown Studs for $80! Were $795 - now 90% off! 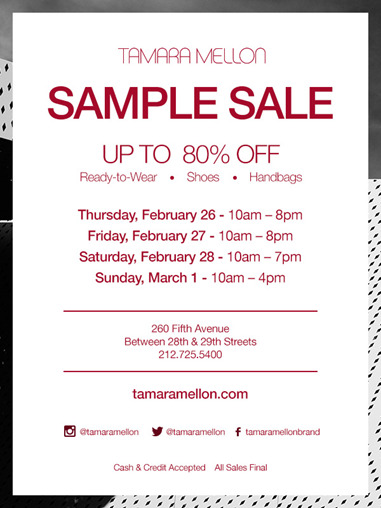 So whether you'll be hitting the sample sale or not, hurry on over to TamaraMellon.com - I'm sure you'll find something to tickle your fancy. Don't hesitate because it's selling out fast! OMG!!! Girl... you got me in trouble but I can't pass a FANTASTIC deal. I'm in Texas & there is no way I can make it to NY but online is fine with me. Thanks so much for the heads up. Hahahaha - happy to enable you :) Hope everything works out!